IN STOCK - This is a one-off design. 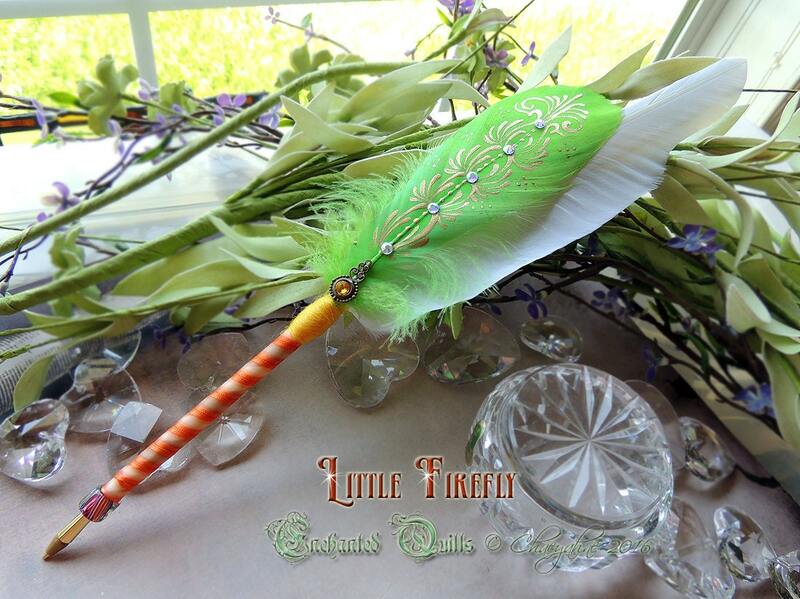 A brightly coloured, lovely quill with a few unusual focals adding to its bright coloured design. 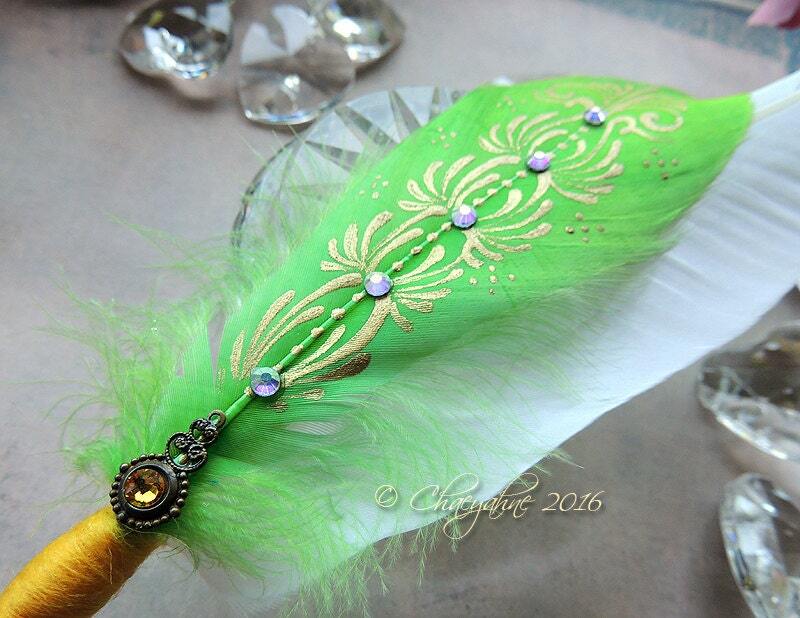 The main feather is a white good quill, partnered with a bright green swan feather which I painted the pretty designwork in gold, with added crystal accents. 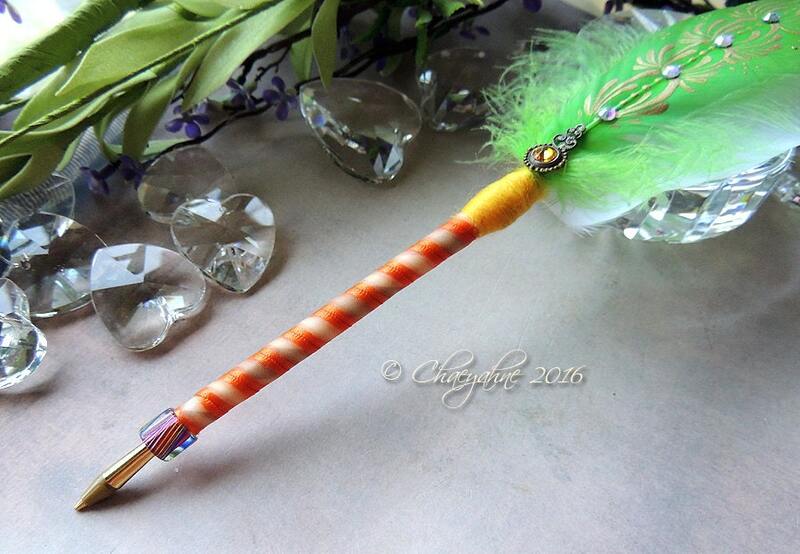 The pens base is wrapped in bright orange organza ribbon, and is sealed for protection, with a golden roving base wrap & brass focal with golen glass stone. The finger rest is made from a gorgeous handblown one-of-a-kind cane bead by master a glass blower. The colours are amazing & inspiring. 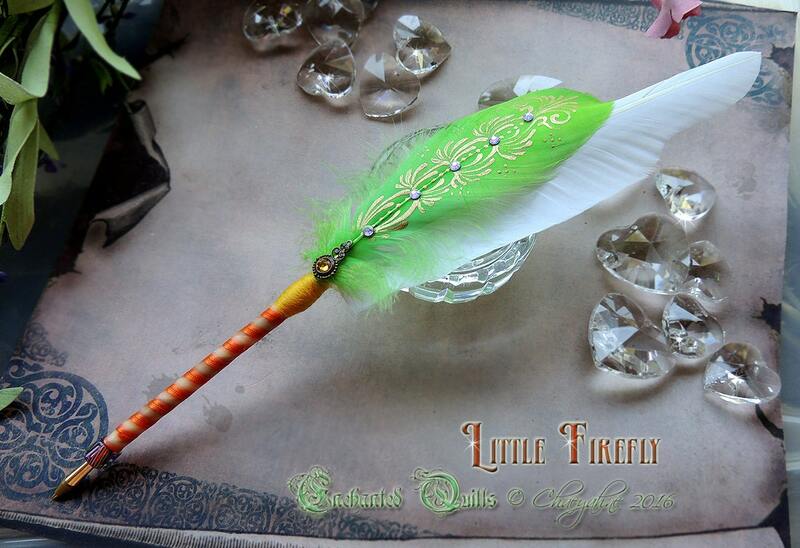 Reminded me of a pretty little firefly flitting around in the evening moonlite. Size: 13 inches long & the pen writes in black. All of my pens come pleasantly gift wrapped, and complete with my CSD studio certificate of authenticity.